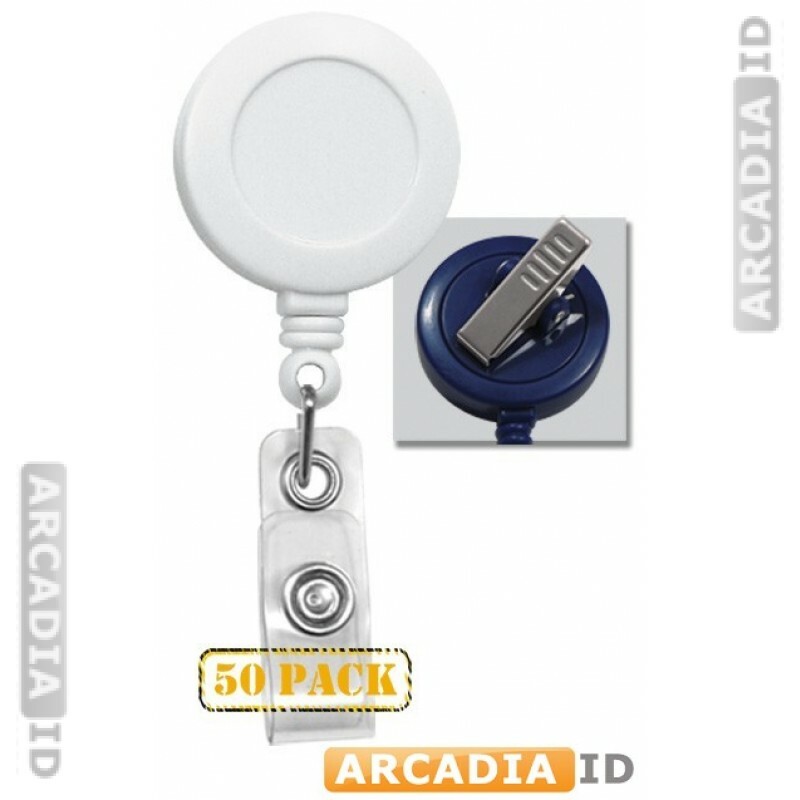 This listing is for packs of 50 white alligator clip badge reels. 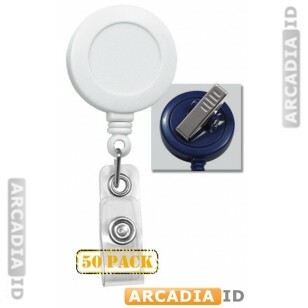 These attach easily and firmly to any type of clothing while being easily extendable. White color looks great for a medical or clinical setting. For more kinds of badge reel in varying quantities, take a look around the site! You can always rely on us for the best prices and service.